I've known of Paul Cleland since we were little kids. We always saw each other at the CBA Jamboree or some other archery shoot. But we did not get to know each other until the last 7 years or so. I was thrilled when Paul started worked with us at RMSGear earlier this year. 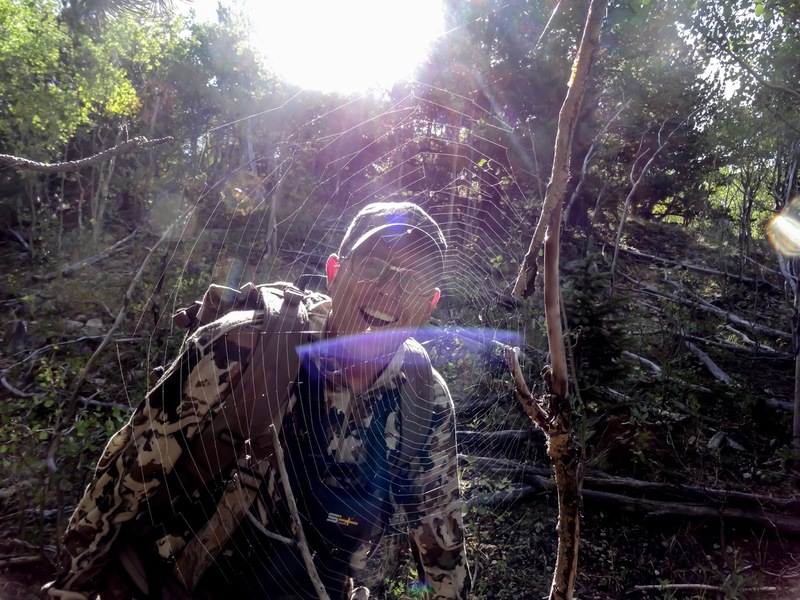 Not only did I think his traditional archery knowledge would be a huge benefit to our store, but I knew that I would enjoy his company on a daily basis. Paul is a fine hunter, but the elk have eluded him up until this year. Paul drew a tag in a unit that my Dad, my brother and I know well. Since I had a few problems with my feet I committed the first few weeks of the season to hunting with Paul in the milder terrain. But it didn't even take that long. Paul and I hunted a few days before he finally connected on an elk. The first morning we went out we called in a couple of cows and a spike. Paul would have shot the spike but it never offered a shot. Paul's a little pickier than I would be having never filled an elk tag, and he passed up on a real big cow that fed right to him. 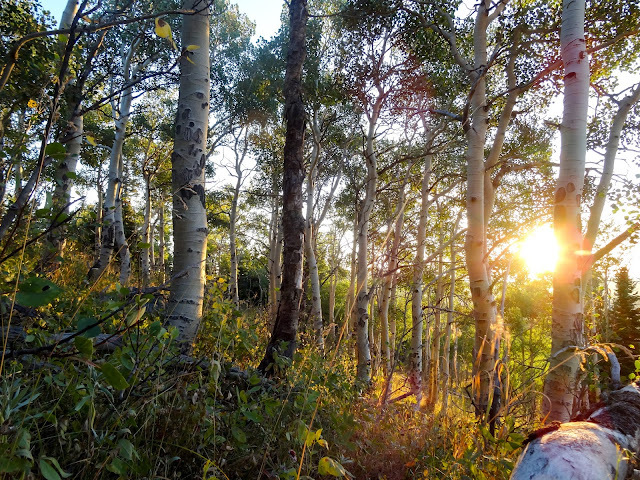 The season hadn't even been on for a week but we were into about five bugling bulls on the same big aspen ridge. My hopes were high and a few of the buglers sounded pretty gnarly for being so early in the season. 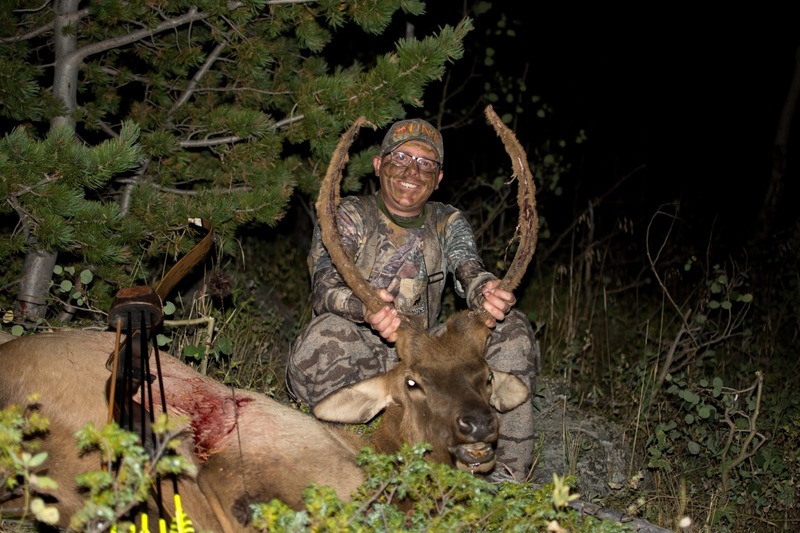 Paul came close to killing an elk on Thursday night while hunting by himself. The elk were bugling their heads off and the herd bull was running around his cows while glunking. The next afternoon I drove up the mountain to hunt with Paul, we decided to hit the same area. We hoped that all the previous night's activity kept some elk around. We spent the entire evening still hunting through some beautiful elk habitat. Only one bugle rang out and we disagreed on which direction it came from, so we continued our hunt as if it never happened. As the night waned we found ourselves in a very likely spot for an elk to appear. Thinking that the night was a bust I threw out a couple of bugles. I was hoping that something would respond and tell us where to go the following morning. A minute later we heard a loud thump. Paul took an arrow out of his quiver and turned towards the noise. No sooner did he get situated than an elk appeared. A spike with long tines was feeding right towards us. 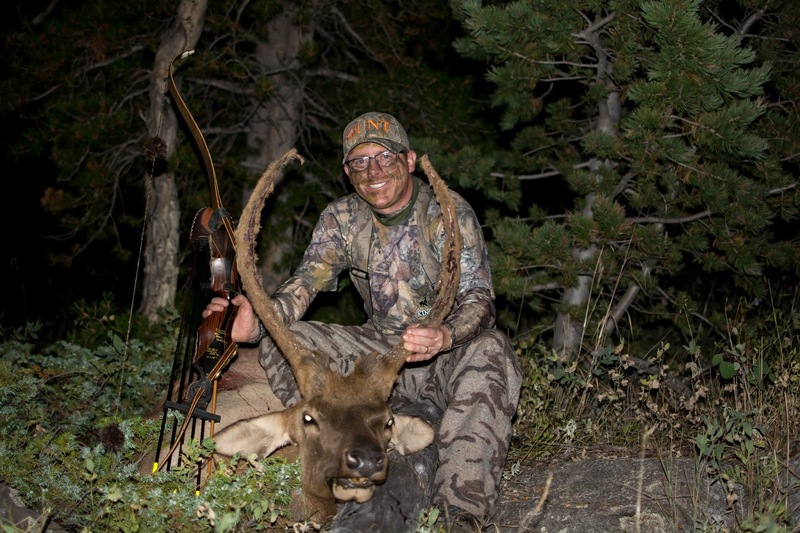 When the elk turned broadside at 30 yards Paul pulled his bow back in such a fluid and smooth motion that I hardly noticed. 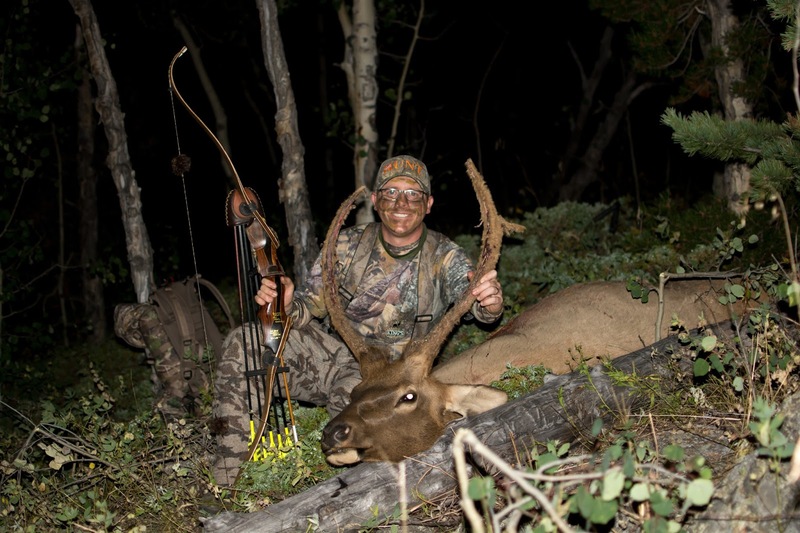 I had full confidence that Paul was going to kill this elk, he is a fantastic shot with his Wapiti recurve. After the shot Paul and I gave our thanks and started to get pretty excited when we heard a crash. A 75 yard bloodtrail led us to Paul's first elk. Paul shot this elk with a 55#, 58" Wapiti Recurve. He was shooting Beman ICS arrows and 200gr Cutthroat Broadheads. I was fully confident that Paul was going to kill an elk this season, but I must admit, I was a little bummed that I did not get to spend more time hunting with him. That's alright, I think we have many elk hunts together in our future. Way to go Paul!!!!!! Congrats on your first elk, quite the accomplishment my friend.